1) Judy Russell asked six questions in her 2014 Keynote address at RootsTech to determine if audience members knew certain family stories about their parents, grandparents and great-grandparents. She demonstrated very well that family stories are lost within three generations if they are not recorded and passed on to later generations. a) What was your first illness as a child? b) What was the first funeral you attended? c) What was your favorite book as a child? d) What was your favorite class in elementary school? e) What was your favorite toy as a child? f) Did you learn how to swim, and where did you learn? 3) Tell us in your own blog post, or in a comment to this post, or in a Facebook or Google+ post. a) The first illness I recall as a child was the chicken pox. I'm sure that I got it in the first two or three years of school from another classmate, and I passed it to my brother. I still have a scar on the side of my nose from it. b) The first funeral I attended may have been for my grandfather, Lyle Carringer, in November 1976. I son't recall an earlier one in the family, or for friends. I was too young to go to my great-grandmother's funeral in 1952, and my Massachusetts grandmother, who died in 1962, was too far away. c) My favorite book as a child was the World Book Encyclopedia. I read it voraciously just about every day. My favorite subjects were geography, history and science. d) My favorite class at Brooklyn Elementary School was 4th grade. Miss Williams was the teacher, and she was very patient and encouraging. e) My favorite toy as a child was my Lionel train set. My father, brother, and I would play for hours setting up the track through the house, and running at least two engines on it to try to make spectacular crashes. I spent my allowance money on more train cars. f) I learned how to swim in summer 1954 at age 10 at Bass Lake near Yosemite. That was our first family vacation away from San Diego, and it was memorable not only for swimming in the lake, but also fishing on the lake and buying baseball cards at the park store. I have no clue how my parents, or grandparents, or great-grandparents would answer those questions. At RootsTech 2014, I sat down before the first question was finished! I wrote my answers down so that they would be saved somewhere on the Internet and perhaps my children and grandchildren will see them. When Judy's grand-niece gives a Keynote lecture at RootsTech 2054, my grandchildren will be able to answer some of the questions she might pose as a challenge to the audience! 2088. John Pers, born 1588 in Norwich, Norfolk, England; died 19 August 1661 in Watertown, Middlesex, Massachusetts, United States. He married 3. Elizabeth LNU 22 April 1610 in Norwich, Norfolk, England. 2089. 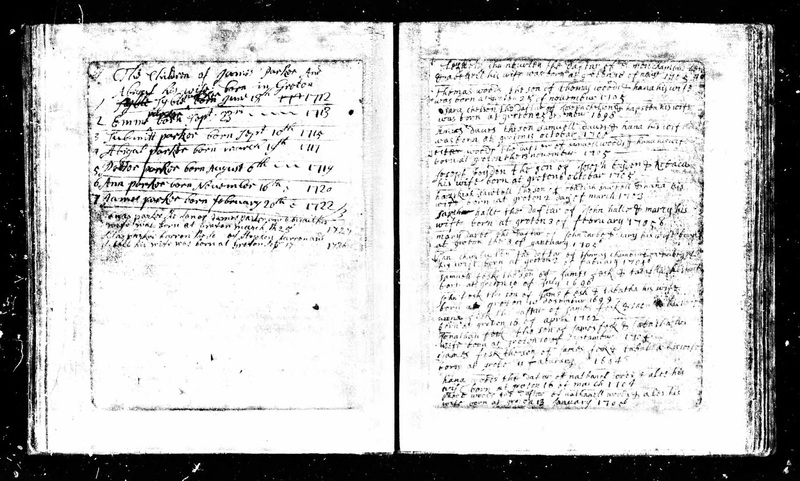 Elizabeth LNU, born about 1590 in England; died 12 March 1667 in Watertown, Middlesex, Massachusetts, United States. i. Anthony Peirce, born before 28 April 1611 in Norwich, Norfolk, England; died 09 May 1678 in Watertown, Middlesex, Massachusetts, United States; married (1) Mary LNU before 1633 in England; married (2) Anne LNU 1633 in Watertown, Middlesex, Massachusetts, United States. ii. Esther Peirce, born about 1613 in probably Norwich, Norfolk, England; died 04 May 1694 in Watertown, Middlesex, Massachusetts, United States; married Joseph Morse 1636 in probably Watertown, Middlesex, Massachusetts, United States; born about 1610 in Ipswich, Suffolk, England; died 04 May 1691 in Massachusetts, United States. iv. John Peirce, born before 19 March 1617 in Norwich, Norfolk, England; died 19 August 1678 in Watertown, Middlesex, Massachusetts, United States; married Elizabeth LNU about 1643 in Massachusetts, United States; born about 1620 in England; died 12 March 1667 in Watertown, Middlesex, Massachusetts, United States. vi. Robert Peirce, born before 21 December 1621 in Norwich, Norfolk, England; died 10 September 1706 in Woburn, Middlesex, Massachusetts, United States; married Mary Knight 16 October 1645 in Watertown, Middlesex, Massachusetts, United States; born before 14 July 1621 in Romsey, Hampshire, England; died 18 March 1701 in Watertown, Middlesex, Massachusetts, United States. vii. Elizabeth Peirce, born before 11 April 1624 in Norwich, Norfolk, England; died before 1665 in Massachusetts, United States; married John Ball 03 December 1644 in Watertown, Middlesex, Massachusetts, United States; born before 24 March 1617 in Norwich, Norfolk, England; died 10 September 1675 in Lancaster, Worcester, Massachusetts, United States. viii. Mary Peirce, born before 26 December 1625 in Norwich, Norfolk, England; died 26 January 1705 in Massachusetts, United States; married Clement Coldam about 1646 in Gloucester, Essex, Massachusetts, United States; born about 1624 in England; died 18 December 1703 in Gloucester, Essex, Massachusetts, United States. ix. Judith Peirce, born before 06 March 1627 in Norwich, Norfolk, England; died before 02 October 1650 in Massachusetts, United States; married Francis Wyman 30 January 1645 in Woburn, Middlesex, Massachusetts, United States; born before 24 February 1619 in Westmill, Hertfordshire, England; died 30 November 1699 in Woburn, Middlesex, Massachusetts, United States. The parents and birth date of Elizabeth LNU are unknown at present. Some online family trees say she is Elizabeth Trull, baptized 13 April 1590 in St. Augustine in Norwich, Norfolk, England, daughter of Robert and Mary (Stoker) Trull of Norwich. This is possible, since there is a 1610 marriage record and the children's baptism records also in Norwich from 1611 to 1627. * John B. Pierce, "The Identity of John Pers of Watertown", New England Historic Genealogical Register, Vol. 111, number 2, page 158 (April 1957). Did you miss the last Genealogy News Bytes - 6 March 2018? The home of the world’s largest online collection of Irish family history records, Findmypast, today announces the publication of two new and improved Irish Civil Registration Indexes. Both collections are completely free to search and explore, providing family historians around the world with even greater chances of learning more about the lives of their Irish ancestors. The two indexes, the Ireland Civil Birth Registers Index and Ireland Civil Marriage Index, contain over 5.3 million transcripts of Irish civil births and marriages compiled from original entries in General Register Office registers. Today’s release marks the first phase of a collection that will continue to grow as additional records are added throughout 2018. Created by Findmypast from images held by IrishGenealogy.ie, these new and improved transcripts include a variety of additional details including the names of both parents (including mother’s maiden name), father’s occupation, and residence. Transcripts of births also contain exact birth dates, while marriage transcripts will reveal the couple’s religious denomination, residences, occupations and marital status. The extra details Findmypast have transcribed provide researchers with more search options, allowing them to explore the GRO registers with even greater accuracy. Civil marriages can now be searched by the names of both the bride and groom while births can be searched by the names of both parents, allowing family historians to quickly and easily identify any children born to that couple. The General Register Office of Ireland (Oifig An Ard-Chláraitheora) is the central civil repository for records relating to births, stillbirths, deaths, marriages, civil partnerships, and adoptions in Ireland. The Office recently published their nationwide collection of birth and marriage records on their own website,www.irishgenealogy.ie, and Findmypast is pleased to offer a rich index enabling researchers to locate these important documents with greater ease than ever before. Each of Findmypast’s new transcripts will also include a link to www.irishgenealogy.ie, where images of the original documents can be found. These images are completely free to access and may provide a variety of valuable additional details. By clicking this link, researchers will be taken to the source website where they will first need to check a CAPTCHA box. They will then be required to enter their name and check another box to be taken to the image of the original register. 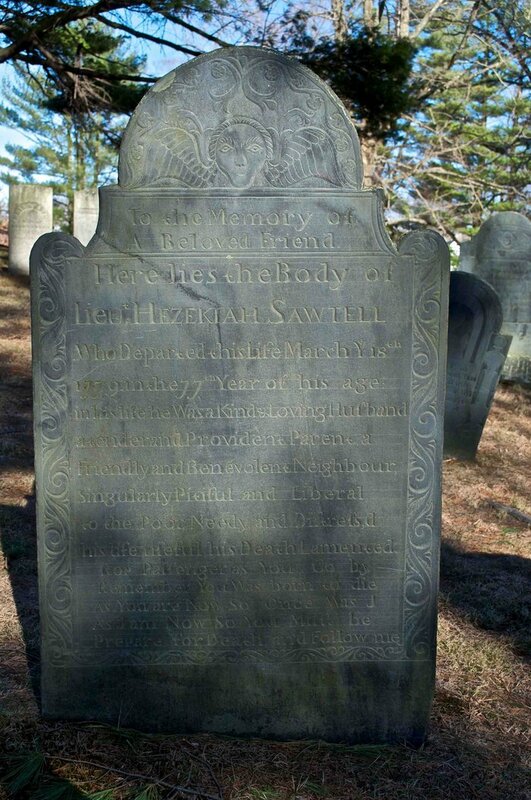 Hezekiah Sawtell (1703-1779) is #296 on my Ahnentafel List, my 6th great-grandfather, who married #297 Joanna Wilson (1701-1786) in 1723 in Groton, Massachusetts. * their son, #148 Ephraim Sawtell (1735-1800) married #149 Abigail Stone (1737-about 1800) in 1757. * their son, #74 Josiah Sawtell (1768-1847) married #75 Hannah Smith (1768-1827) in 1789. * their daughter, #37 Hannah Sawtell (1789-1857) married #36 Zachariah Hildreth (1783-1857)in 1810. * their son, #18 Edward Hildreth (1831-1899) married #19 Sophia Newton (1834-1923) in 1852. * their daughter #9 Hattie Louisa Hildreth (1857-1920) married #8 Frank Walton Seaver (1852-1922) in 1874. * their son #4 Frederick Walton Seaver (1876-1942) married #5 Alma Bessie Richmond (1882-1962) in 1900. Hezekiah Sawtell was born 2 March 1703 in Groton, Massachusetts, the 13th and last child of Obadiah and Hannah (Lawrence) Sawtell[1-3]. He married Joannah Wilson, daughter of John and Elizabeth (Foster) Wilson on 1 August 1723 (Intentions) in Groton, Massachusetts[1,4]. They has 11 children born between 1724 and 1747, all born in and recorded in the Groton town records. 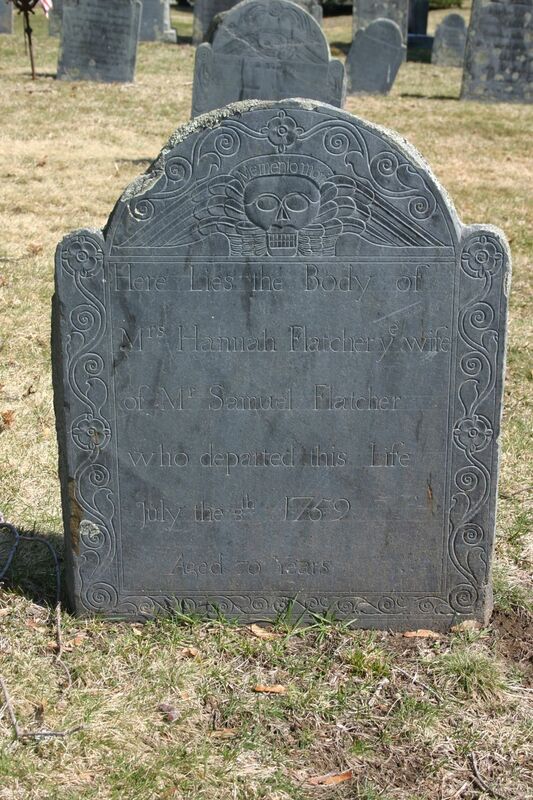 He was a soldier in King George's War and a Deacon in the Groton church. There are no probate records for Hezekiahg Sawtell in the Middlesex County, Mass. Probate Court record books. 1. Dale C. Kellogg and John C. Threlfall, "Richard Sawtell of Watertown, Mass.," New England Historic Genealogical Register, Volume 126, Number 1 (January 1972) pages 3-17, page 16, Hezxekiah Sawtell sketch. 2. 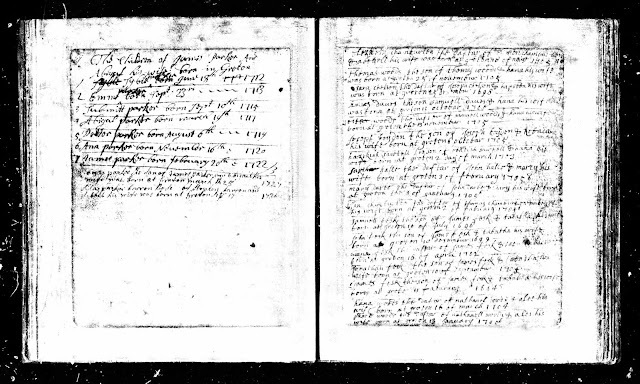 Massachusetts, Town and Vital Records, 1620-1988, digital images, Ancestry.com (http://www.ancestry.com), "Groton Births, Marriages and Deaths," page 4 (image 345 of 990), Hezekiah Sawtell birth entry. 3. Vital Records of Groton, Massachusetts to the End of the Year 1849 (Salem, Mass. : The Essex Institute, 1926-1927), Two volumes, Births, page 209, Hazekiah Sawtell entry. 4. Vital Records of Groton, Massachusetts to the End of the Year 1849, Marriages, page 150, Hezekiah Sawtell and Joannah Willson entry. 5. Vital Records of Groton, Massachusetts to the End of the Year 1849, Deaths, page 264, Hezekiah Sawtell entry. 6. 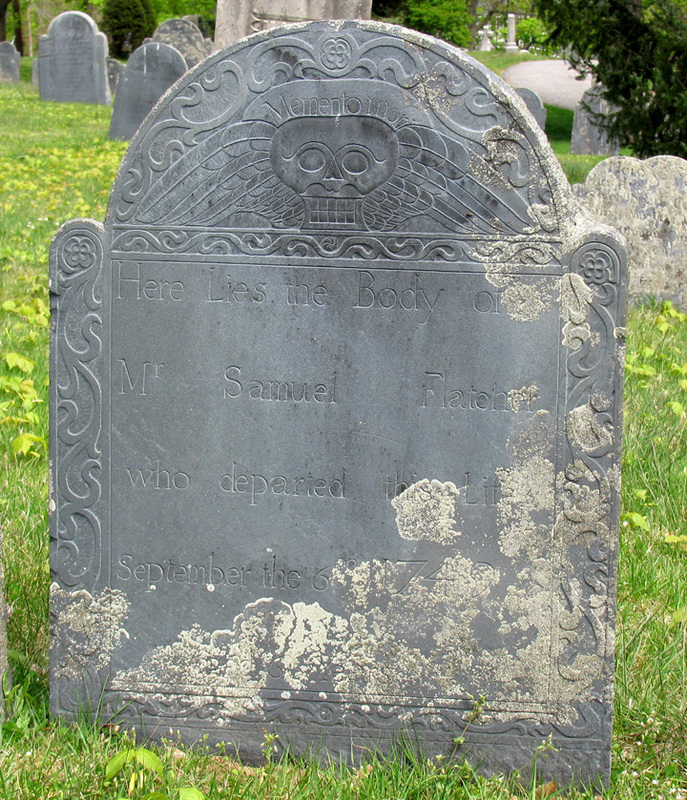 Jim Tipton, indexed database, Find A Grave (http://www.findagrave.com), Old Burying Ground, Groton, Mass., Hezekiah Sawtell memorial #56036730. "We are in receipt of a delayed paper from Highland, Kan., announcing the death of Hon. B.A. Seaver. He died on Monday, January 25, 1904 at his home near Highland, Kan. Beverly A. Seaver was born in Castile, New York, in 1839. He was 64 years old on the 7th of December. In 1856 he moved to Mt. Sterling, Kentucky, where he taught school two years and then began the practice of law. His law partner was Tom Turner, who was a member of Congress. Here he married Miss Luckett Anderson, oldest daughter of Joseph Anderson, deceased, of Jeffersonville. They came to Highland in 1872 and this place has been his residence ever since. He has been a practicing attorney in this county constantly for 30 years. His wife died in August 1899. He was elected a member of the state legislature in 1887 and served two sessions. He was on the Democratic ticket. He was county attorney from 1883 to 1885. He was twice a nominee for State Senate on the Democratic ticket. In 1882 he made speeches favoring the adoption of the prohibitory amendment to state constitution. He was a sound money Democrat and in 1896 voted for McKinley. He was one of the Presidential electors in Kansas at the time of Cleveland's first election. Mr. Seaver was one of the most honored and respected members of the bar in this judicial district. "He was also considered one of the most capable and honest lawyers in this end of the State. He leaves one son, Joseph M. Seaver, who lives on the family farm, south of Highland. He also leaves two sisters, Mrs. Ella E. Herrick and Mrs. Jessie Jennings, both of Kansas City. These two sisters and Robert T. Herrick have been with Mr. Seaver for several weeks." "Former Kentuckian Dead," Mt. Sterling [Ky.} Advocate newspaper, Wednesday, 30 March 1904, page 4, column 3, Beverly A. Seaver obituary; digital image, Chronicling America : historic American Newspapers (http://chroniclingamerica.loc.gov : accessed 8 March 2018). I have this person in my RootsMagic family tree database, with his wife and son, and also with his two sisters. Beverly A. Seaver is my 3rd cousin 5 time removed. The next meeting of the San Diego Genealogical Society (SDGS) is Saturday, 10 March, at 10 a.m. at St. Andrew's Lutheran Church (8350 Lake Murray Blvd., at Jackson Drive). The program speaker for both sessions (10 a.m. and 11:30 a.m.) will be David Flint, on "Genealogical Reasearch in England." This program reviews the three main record groups you are likely to use when doing genealogy research in England: Census records, Civil Registration records and Church records. Each of these record types covers a different time period ranging from 1538 to the present, and each can provide key information about your ancestors in England. The program will compare the different types of records with illustrations of the content, historical context, and some websites to access them online. A printed handout will be provided. David Flint has been doing English genealogy research for the past 12 years. He was born in England, where he lived until the age of ten, when his family moved to Canada, and then to the United States. He currently lives in Irvine with his wife, Nancy. David devotes time to genealogy research, attending lectures and seminars, teaching genealogy classes, and occasional speaking engagements. He is currently President of the South Orange County California Genealogical Society (SOCCGS), a member of the Orange County California Genealogical Society (OCCGS), a member of the North San Diego County Genealogical Society, and a past member of the Genealogical Society of North Orange County California. David retired after working for the County of Los Angeles for 40 years, ending his career as Assistant Director for Finance and Planning with the County of Los Angeles Public Library. He began his interest in genealogy after attending a library conference in Phoenix, Arizona in 2002, where he met two British Isles research specialists from FamilySearch. He likes to say that genealogy found him because he wasn’t looking for it at the time. He enjoys cooking, good wine, travel, and likes to read history and historical fiction. In addition to working on his family history, David has a goal of developing a specialized collection of British Isles reference books in his home library. He and his wife Nancy have made trips to England to keep in touch with family and visit the country where he spent his childhood. 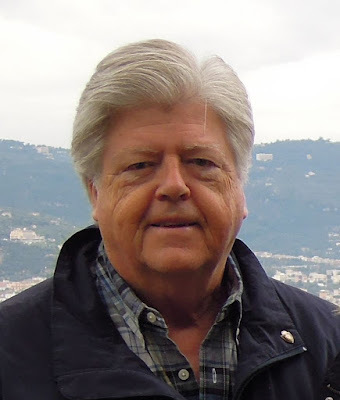 At his home society in Mission Viejo he leads a monthly England special interest group, and a monthly Legacy Users Group for SOCCGS members who use the Legacy Family Tree genealogy program. He also teaches a beginners class for Legacy, and a class in computer basics. He also leads an annual week-long research trip to the Family History Library in Salt Lake City for SOCCGS. In the 9 a.m. hour, Peter Steelquist will lead a discussion of "Researching San Diego" and Dona Ritchie will lead a discussion on "Introduction to Genealogy on Your Mac" in the upstairas classroom. Seating is limited, so please reserve a spot at sdgsclasses@gmail.com. wife born at groton 2 day of march 1703"
Massachusetts, Town and Vital Records, 1620-1988, digital images, Ancestry.com (http://www.ancestry.com), "Groton Births, Marriages and Deaths," page 4 (image 345 of 990), Hazekiah Sawtell birth entry. Hezekiah Sawtell (1703-1779) was the 13th and last child of Obadiah and Hannah (Lawrence) Sawtell, born in Groton, Massachusetts. He married Joanna Wilson (1701-1786) in 1723 in Groton, , and they had eleven children between 1724 and 1747, all born in Groton. Joanna was the daughter of John and Elizabeth (Foster) Wilson of Billerica, Massachusetts. They are my 6th great-grandparents. I descend through their son Ephraim Sawtell (1735-1800) who married Abigail Stone (1737-????) in 1757 in Groton.